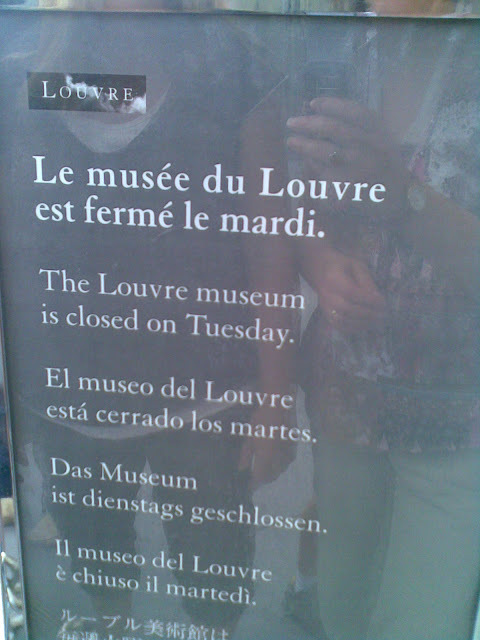 French Photo Du Jour: What Day is Mardi? Well, even if you don't know, it doesn't matter. It's right here in grey and white, in English. And in Spanish. And in German. So believe it or not, the Louvre in Paris really is closed on Tuesdays... Know before you go!